Marketing is hard. Improving your marketing is harder still. Welcome to Automated Marketing by Engag3d, the world's first, self configuring marketing platform. Whether you're a small or a large firm, navigating all of the different tools and technologies to manage communication is a nightmare. Add in the need to drive increasing efficiency at a progressively lower cost, and suddenly, organisations and people find it challenging to keep up. The key difference between marketing automation software and Engag3d is that this platform is focussed on 'actually doing your marketing for you'. Engag3d is built on the same vision, one where the technology works in the background to enable a large part of a business' marketing. Give us a go, strap in and experience the future of marketing technology. Smart Automation is a set of Smart Skills that help you automate your digital marketing. These Smart Skills enable you to efficiently engage customers with less manual effort by automating processes at scale across all your channels and campaigns. Engag3d is a robust smart marketing automation platform that makes use of Smart Skills to gets you a comprehensive view of your market and customers. HOW IS IT SET UP AND MANAGED? In a fast-paced world, you need to constantly identify and evaluate strategic opportunities. Through a detailed on-boarding process, we work closely with you to understand your current situation and the Smart Skills you need to achieve your business goals. We then rebuild your website within the Engag3d platform together with email and landing page templates that you can use immediately. Everything is set up and done for you so you can get it started. 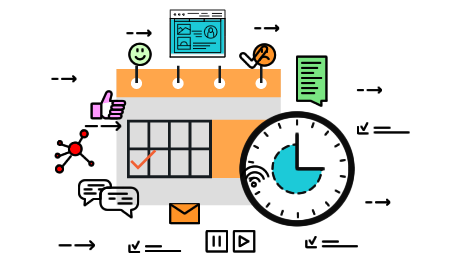 Every three months, we review your success with the platform and identify the next steps needed to continue automating your marketing. Again, any new requirements are set up by us so you can get on with business. Smart automation is essential to succeed in today's digital world. To develop this marketing capability, you need a core set of Smart Skills that give you the power and ability to automate your marketing communications. Once this foundation is in place, you can supercharge your marketing with additional Smart Skills. Websites are a critical customer interface requiring careful design and ongoing development to effectively engage and influence. It's time intensive, costly and a real pain point for businesses... until now. Web Smart gives you a proper website capability that includes a complete design or refresh of your website, delivered and hosted by the conclusion of the on-boarding phase (this is at no charge if you pay annually!). We also throw in a quarterly review for those additional tweaks and adjustments so your website never goes stale! Does your website respond when someone gets in touch? Does it send your customer a gentle reminder if they forget to read the first time around? Does it automatically measure customer interactions, determine their interests and place them in targeted 'smart segments' that you can use for future personal communication? Contact Smart gives you smart contact page management with all relevant email responses and response logic. Just like in WebSmart, there's a quarterly review for additional tweaks and adjustments so your message stays on point! Quarterly updates with up to two contact page option adjustments and up to 4 emails modified to ensure fresh communication, always! Stand out from the crowd with branded, smart looking newsletters that enable you to consistently keep in touch with customers and update them on your products, services, and promotions. News Smart gives you a fully managed capability where we work with you to create compelling newsletters using predefined templates. Each newsletter is set up as an individual campaign to monitor and track customer interactions and responses to enhance customer engagement. It all happens like clockwork. Up to 3 different newsletter templates with 2, 4 or 6 'highlights' boxes featuring industry or company news, and a pre and a post content section that links back to current campaigns. Easy-to-use registration form on your website to impress newly registered subscribers with a 'thank you for registering to our newsletter' email. Efficient management of 'Unsubscribe' requests to ensure your domain is not blacklisted for spam. 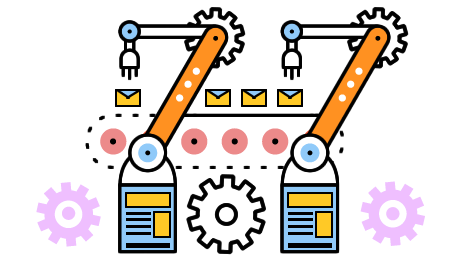 Automatic classification of subscribers into separate dynamic smart segments based on their interaction with the content in your newsletters. Imagine being able to send individual personalised emails at short notice without having to create something from scratch. Email Smart gives you a set of predesigned email templates tailored to different types of communication contexts in your business, enabling you to create bespoke emails and to monitor response to individual emails through the Engag3d platform. Imagine being able to do promotional campaigns or customer communications without the hassle of creating them, setting them up, checking if they work, and then reporting on how effective they have been. Campaign Smart gives an automated campaign capability that includes one campaign each quarter, which is created, reviewed, modified and updated for you by us. Up to 2 landing pages per campaign including one 'thank you' page. A Registration Form to capture visitor's contact details. A website visitor notification email sent to a nominated internal email address (e.g., sales team). If the notification email is not opened within a set timeframe, another reminder email is sent to the person in-charge. Up to 3 branded campaign emails, which may be offers or reminder emails including a 'thank you' email sent to the website visitor submitting the form. Up to 8 dynamic segments to capture and classify visitor's details depending on their interaction with the campaign emails. Up to 12 local or remote trackable assets such as URLs, social handles, videos and downloadable files and e-books. Quarterly updates or adjustments to your campaign that includes up to 2 additional pages added or modified. Adjustments to the campaign's logic, follow-up interval of reminder emails, update or modification of email content linked with the campaign. A personalised marketing dashboard with 40 different easy-use reports options complete with graphs, charts, percentages and numbers.